In my experience, I’ve found out that people who are new to the Photoshop environment find it very troublesome and confusing to handle the software. Believe me, that is not your fault. Even advanced editors find it confusing sometimes (Even I had some trouble today!). But don’t be disheartened. It is indeed a very handy designing tool once you get to know how to manipulate it correctly. Loads of people have asked me for a book or online tutorial from where they can learn how to use the software. Well, to answer your questions, I would suggest that you refer to this particular book. This book starts from the basics of to the advanced techniques. It helps you manipulate the environment easily and helps to understand features such as Camera Raw images, Covers retouching, Color Correcting, Manipulating, and combining images. It provides support for working with the File Browser, Histogram palette, Lens Blur, and the Color Replacement Tool. You will discover a lot of customizable keyboard shortcuts. It helps to create cutting-edge special effects for digital or film-based images, and much more. Bear in mind that the book refers to the environment of CS5. 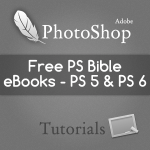 Having used previous versions, I would recommend that if you are a beginner, then you use Photoshop CS5. 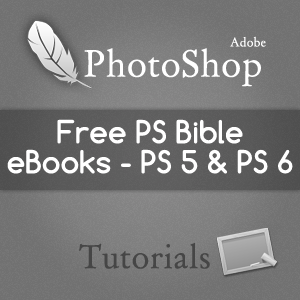 For those of you who want to use the newly released Adobe Photoshop Cs6, no worries! You can always refer to its own Bible. Sleek new modern user-friendly interface, Content-Aware Patching, Mercury Graphics Engine that produces near-instant results of Liquify and Warp and other effects, a New Blur gallery, A new dynamic Crop Tool, Intuitive Video Creation and many more.